home / Multimedia / The Holy Land in videos / “No one comes from nothing, we have common roots”: ..
“Exchange experiences” is the title of the Palestinian Mosaic International Conference, a series of meetings held from May 11 to May 13 (2016) between Jericho and Sebastia, Ramallah and Bethany. “This is the first international conference on the art of the Palestinian Mosaic. 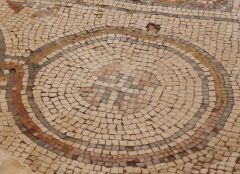 We envision this as a great opportunity for us to involve foreign experts in our discussion and in our work, to exchange experiences with them, who are here to see and support our work.” The Mediterranean region has for centuries been the cradle of the mosaic and Palestine in particular still holds a wide and valuable variety of works. The idea of the conference was also created to increase awareness of this heritage among the people. The conference was organized by the Mosaic Center of Jericho and by the Pro Terra Sancta Association. It all began in 1999, when Father Michele Piccirillo, friar of the Custody and of the Studium Biblicum Franciscanum, began a project to form a core group of Palestinian children to restore the mosaic which then gave birth to two realities. “After 17 years, this conference allows us to take stock of where we are. Unfortunately Father Piccirillo is no longer with us, but we continue on this vision: the formation of local boys and girls, the involvement of children and women and the involvement of civil society in heritage conservation “. The conference was an opportunity to bring together professors and restorers, technicians and enthusiasts from China to the United States, from Greece to Great Britain, from France to Italy. “The humanitarian actions to help the people who suffer because of the war is fundamental” says Osama Hamdan “but what is happening in the Middle East is destroying people’s identity. ISIS has precisely this task: destroy the identity and memory of the Middle East. Because man does not live only on bread and water. With bread and water we could at most only survive, but that is not enough”. 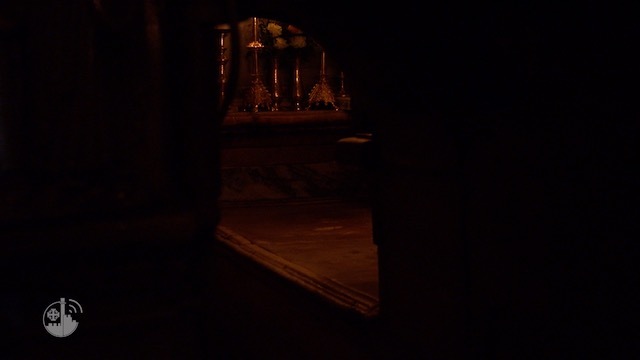 For this reason, conservation and restoration are also one of the prerogatives of the Franciscans of the Custody of the Holy Land. To preserve, but also to educate young people is therefore another fundamental task, because “no one comes out of nowhere” Hamdan concludes, “we have common roots,” and they must not disappear. Help us to preserve the roots of the Middle East!